We are proud to introduce the Brooks (acorn) outdoor 130 DC powered stairlift now with new seat. Built with useability and comfort in mind. With up to 2 years guarantee. 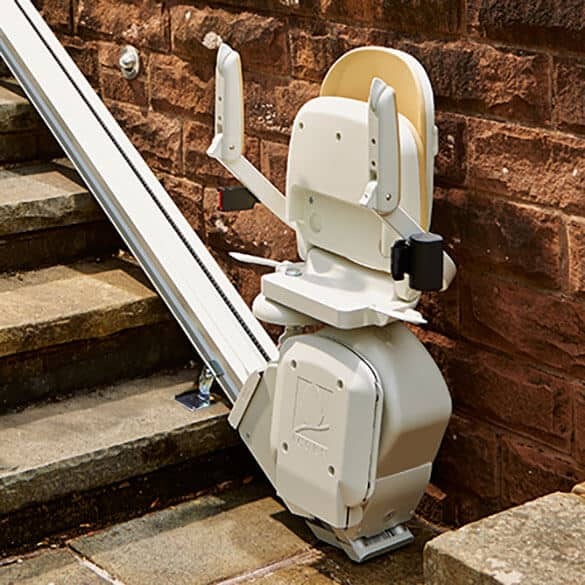 If you’re looking for straight outdoor stairlifts which excel where comfort, practicality and convenience are concerned, then you’ll definitely not want to miss out on this fantastic DC powered new Brooks stairlift and its brand new innovatively designed seat. It offers all the incredible value and convenience of all of our new brooks stairlifts, with a host of incredible features ensuring that there’s no better straight stairlift for your home if you’re looking for a comfortable, quiet and practical mobility solution. 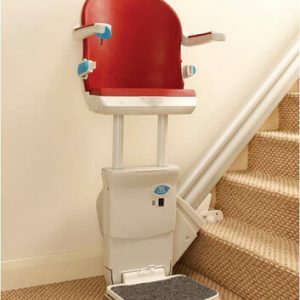 The Brooks stairlift comes with a 90 degree lockable swivel seat. Remote function to call the Brooks stairlift to you. Simple and quick to fit and put in place within a few hours. 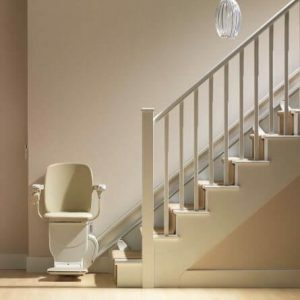 Safety sensors ensure that this straight stair lift will always stop in the case of an obstruction. Designed specifically to provide the most comfortable and quiet ride, this straight stair lift exemplifies the care and attention that we put into all of our straight new brooks stairlifts. 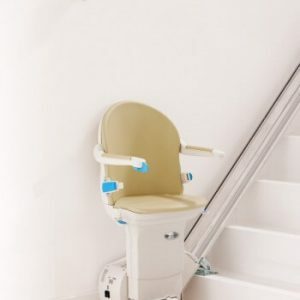 With an innovatively designed seat that makes sure you’ll never feel awkward or unsteady making your way up and around your home, this Brooks stairlift is definitely the perfect product for anyone looking for a smooth and safe ride they won’t have to worry about. What’s more, all of our new brooks stairlifts operate to the very highest standards of reliability, so the Brooks stairlift is guaranteed to carry you wherever you need to go – whenever you need it to. 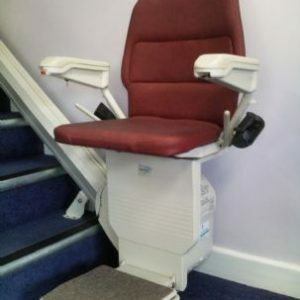 The team here at Multicare are experts when it comes to the new brooks stairlifts, so if you have any questions then simply feel free to get in contact as soon as you can for reliable, affordable stairlift services.